PLUS - additional discounts for selected Charity Events & weekday (Sunday - Thursday) shows! If you would like to contact Harrizon to check his availability for a show at your venue or party, and get a Free, No Obligation Quote, please use one of the options below, and he could be entertaining your guests very soon! 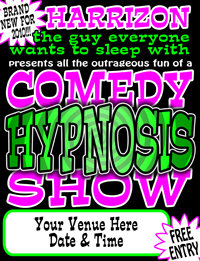 Harrizon's Standard Show Fee is £500-00 per performance, Plus Travel & Accommodation Expenses where applicable. Venues providing a full PA (Sound) System will benefit from a reduction in fee. Confirmed bookings require 50% deposit, payable by Cheque or Paypal within 7 days of booking. Cancellation of booking for any reason will result in a cancellation fee being made. Full details of our cancellation rates are included within our contract. 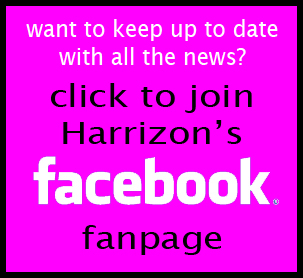 All other terms and conditions are included within Harrizon's show contract. due to the Adult Nature of Harrizon's acts, all spectators must be strictly OVER 18.